Hello! 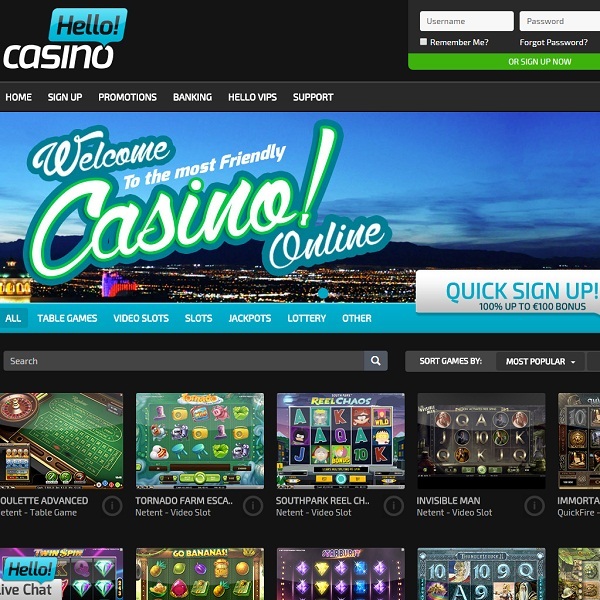 Casino has now gone live with a fantastic selection of games from NetEnt and Microgaming and it is claiming to be the friendliest online casino around. Hello! Casino features an amazing selection of games. There is something for everyone thanks to extensive card and table games, a huge amount of slots, keno and bingo games and video poker. There are also ten ever growing progressive jackpots up for grabs via the casino’s games.